Costco says its Cabo San Lucas warehouse could be closed until November to recover from damage by Hurricane Odile and a subsequent wave of looting. here is a good youtube by nasa of he hurricane. I was just trying to get my column out. Put some words together. I had no clue just how fast things would change. How fast life itself would change. It was an understatement of historic proportions. 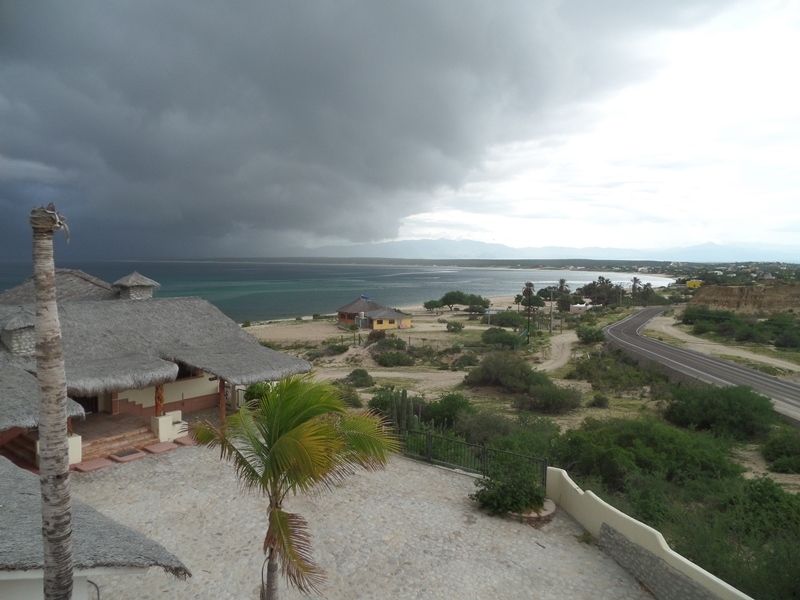 In the span of less than 12 hours the storm did the unexpected and put Baja right in it’s crosshairs. 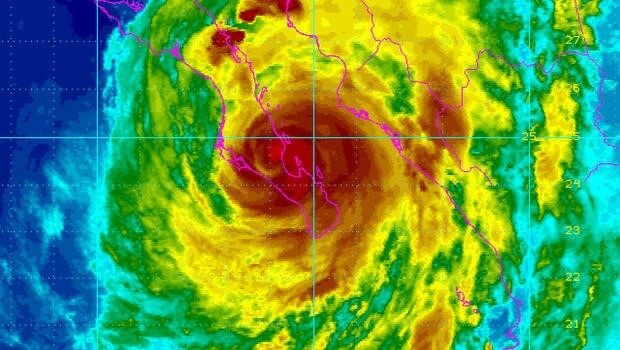 By midnight, Sunday the 14th, Hurricane Odile had turned into the largest and most powerful hurricane ever to hit Baja. It slammed into Baja with Category 3 and 4 strength winds including gusts up to 140-150 miles and hour. By comparison, Hurricane Sandy that devastated the East Coast in 2012, had winds of “only” 115 miles and hour. 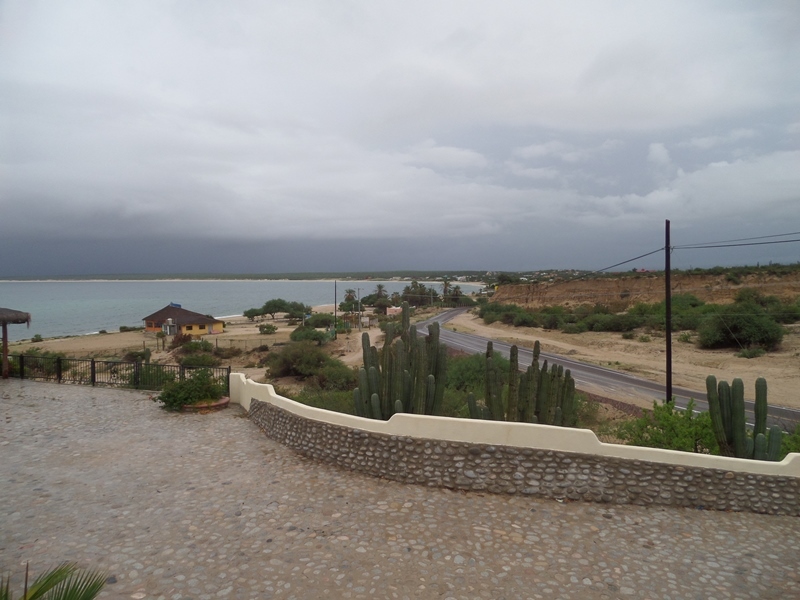 Those, like us with a fishing operation in La Paz, or have businesses that are affected by weather or happen to watch weather, had at least a bit of time to get ready. Get the batteries and water. Tape the windows. Get the rain gear. Tie and chain things down. Pull our boats onto dry ground. Most of Baja was not ready. 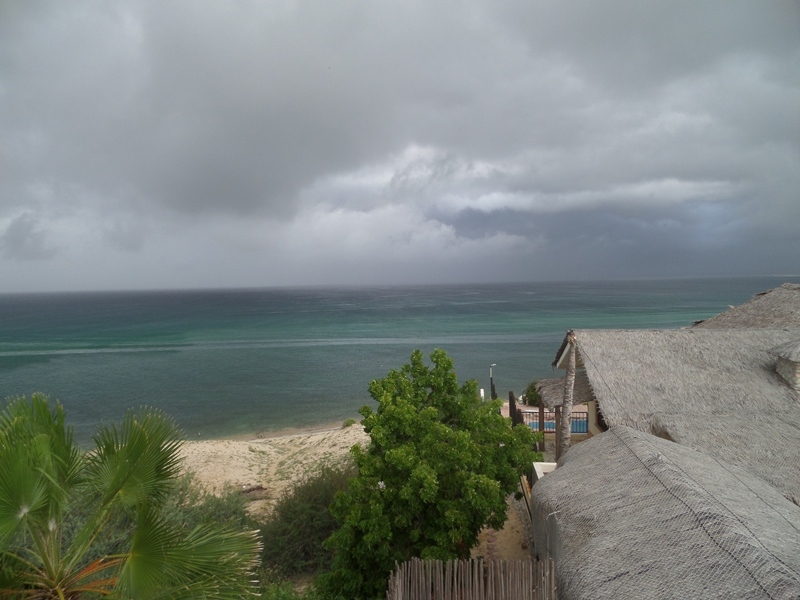 here was projected at 5am sunday, offshore and cat 4, but it changed and wend as seen above into cabo directly at cat 3.
we did not get this kind of rain, this is the San Bartolo Arroyo before Barriles. early north wind, low but a bunch of kiters out enjoying it. rckymtn wrote: Thank you for the updates. I was hoping you could answer some questions for me. My brother, father, and I have a fishing trip planned mid OCT. in your area and we have gotten very little communication back from the fishing resort which I'm assuming is due to the internet being down etc.etc. We are curious on the current condition of your area, is there drinkable water, electricity, cell service? 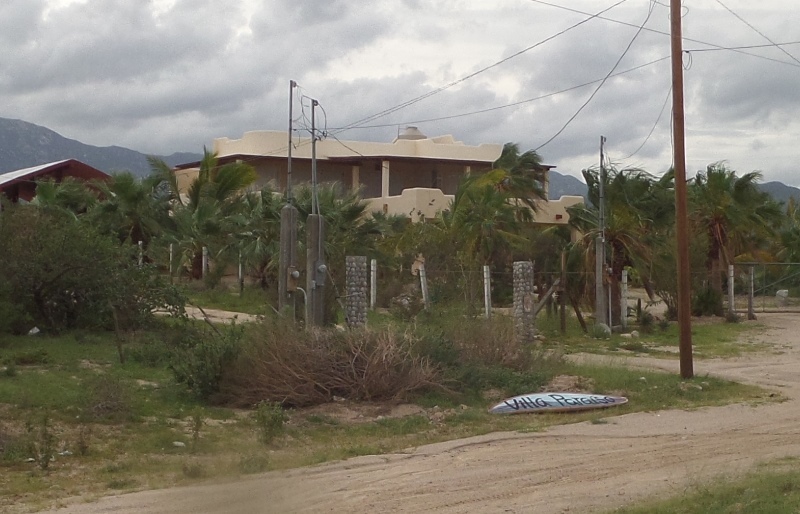 We were booked at the Palapas Ventana do you know if they suffered much damage? Our flights on US Airways have been canceled but if we could find a way to fly into Cabo, are the roads from Cabo to your area okay to drive? Any roads washed out? I've read reports on fake check points where cars have been hijacked, is that true and a concern? What kind of emergency services/hospitals are in your area? My father does have a heart condition and I'm concerned if you don't still have land lines would that be a risk not worth taking given the current circumstances/hurricane. Would you advise friends/family to take a fishing trip to your area within the next 3 weeks? We just got internet this morning. yeee ha and phone had dialtone. so that is all services including internet land lines up and working, cell was about a week ago. PV had very little damage and is just fine and i am sure open, I ride my bike past there almost every other day and they are only a few places down from me.. We did not get a lot of water so the clean up is minimal. And they were even building new palapas there a day or so after the hurricane. They would have changed their effort if they had other problems. While I am not a fisherman, I do pay attention to the water and snorkel almost every other day before the hurricane. I also walk the beach past PV almost every day on the beach side. I have noticed the bay here come alive with small fish boils, so is that because the temp is just right for fishing? I am guessing so. We do not have the small fish boils in the bay all the time. As you know generally you go to the island or out there for fish usually not in the bay. Have also noticed boats fishing about 1-2 miles from shore which is also unusual for our bay so the fish are here at least right now. The fake check points may have occurred but were before the several thousand military went to cabo to restore order within 2-3 days. Again that was rumored the fake check points and was rumored only to be in Cabo itself.. Nothing anyplace else. And certainly nothing now. you can get to cabo either way right now, that is a fact.. I also saw a ecobaja tours bus (they take people to and from LaPaz to various airports for a great price with real nice vans) running the HWY 1 way a few days ago in San Antonio. Right now cabo airport is closed to regular flights till the 8th of october, from what I have read. 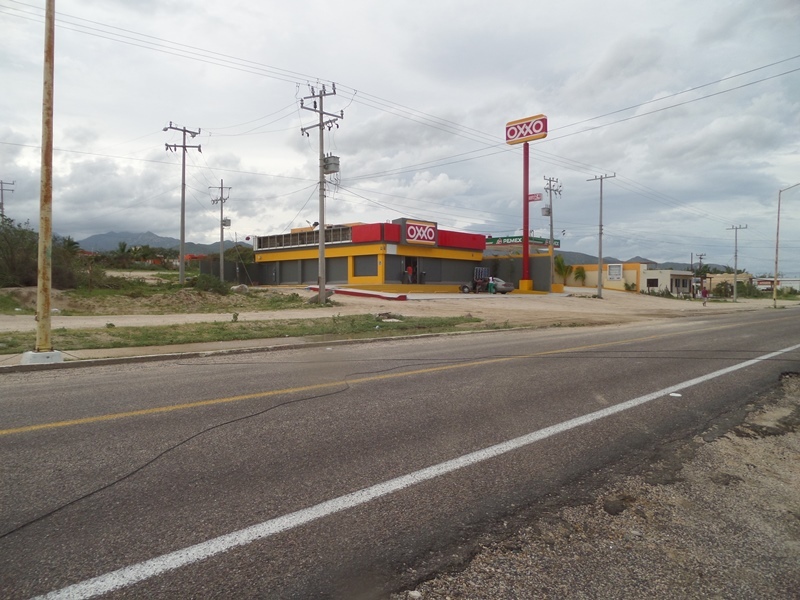 We have always had drinkable water here s the stores never ran out (OXXO was open the next day and sold you anything you wanted without electricity, they never ran out of drinking water they did run out of ice. we were not hit that hard. we now have all services up and running, water, drinking water, gas, propane, and now phone internet. The local doctor has been here and opened everyday (closed thursdays) and he can be woken up at 3am if need be. All hospitals are open in LaPaz, co-incidently I was at Burger King doing emails, (Free internet and decent speed with great Air Conditioning and there are 2 110 VAC power outlets that can be reached from 6 different booths... ) in LaPaz by Home depot (the other one is still closed) yesterday and ran into a friend from out here who was in LaPaz to visit a friend in the hospital who is getting out of intensive care today had been in intensive care for 8 days from Gallbladder issues so it is open... LaPaz you can not really tell they were hit except when you see a few signs bent. and a few commercial buildings built the US way had panels of sheet siding ripped off. But anything with concrete and rebar in LaPaz is just fine. again not much water which generally does the damage when flowing. Would have no problem with family and friends coming down right now. Do bring mosquito spray... just cheaper in the USA than here, you can buy at the local OXXO store $$$$$. And in general you just need to spray your legs as our mosquitos in general only bite the legs. Right now we have two species of mosquitoes, generally we only have one and this second is larger and slower moving. Bring a fly swatter or two they for some reason do not sell them in baja and that is what I use vs the spray. Thank you for the updates. I was hoping you could answer some questions for me. My brother, father, and I have a fishing trip planned mid OCT. in your area and we have gotten very little communication back from the fishing resort which I'm assuming is due to the internet being down etc.etc. We are curious on the current condition of your area, is there drinkable water, electricity, cell service? still no land phone or internet, still going to LaPaz for internet if a big file like the old days. here is a account from LPG of someones account in Cabo, do not believe everything you read, most poor people were evacuated to schools and shelters, so the 2000 dead is just rumor. was found electrocuted in his pool. 11:45 Mon am we have power and internet, YAHOO A/C TONIGHT!!! no landlines still and no internet. saw a telmex truck so tracked him down. he says 3 days. is that 3 business days? here is a list from a friend so we can see which resorts really got hit hard in Cabo. 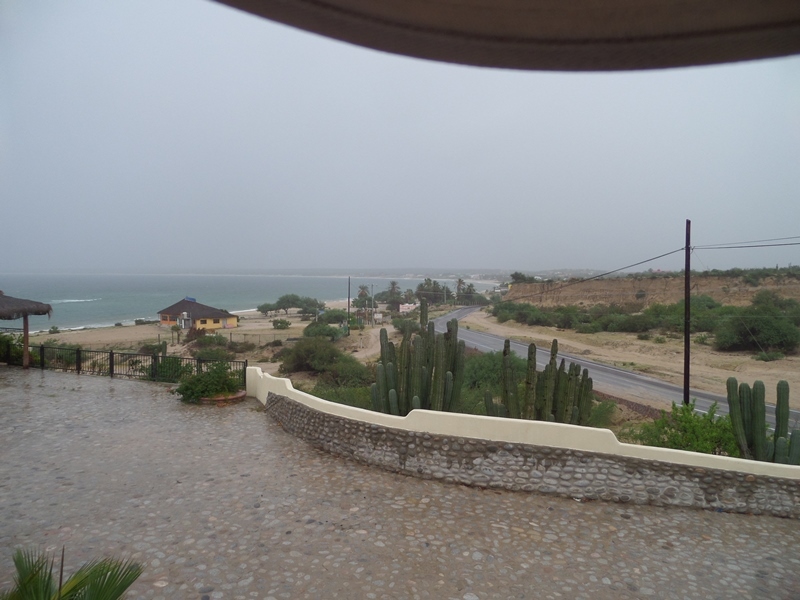 Hurricane Odile hit the southern tip of Mexico's Baja Peninsula on the night of Sunday, September 14, heavily damaging many hotels and resorts in the popular Los Cabos vacation area and forcing temporary closures. Below is a list of those closures, along with estimated reopening dates. trucks parked overnight the 24th. generals gate in front of his house. see the phone lines down like this, they are all over the town. a few poles down,,, the most in the entire area. this is a high voltage line down on the road. it was moved over to the side of the road eventually so people could drive here again, only blocking one lane. tin roof no tie down..
this palapa is in front of casa verde, so again not strong winds, a few are gone at the hot springs, but just 2 or three. H john would have removed all these. CFE Linemen began and tried to restore power the afternoon of the 22nd. The straighten out dos/baja joes pole. And a few other things. When hooking up my transformer I brought them a coke they declined said they had plenty of soda and food, that CFE was sending out meals to them. I did give them two of my keyboards as gifts, that they accepted. This crew of two in front of my house were from Puerto Vallarta. I asked where they go next and they said Cabo and they expected to be in Cabo for 4 weeks. I could see the LosPlanes tower light on after they left. And asked people the next day if they had cell service and the answer was no. But drive a few miles out of LaVentana and people were probably picking up San Antonio. The morning of the 23rd a team of 6 trucks came here none CFE. All contracted out by CFE. They were focused on the high power lines and poles that were down. They are actually doing a few improvements vs. how it was wired before. I drove out to our transformer and could see they disconnected the power into our new transformer so one could assume the high voltage was present up to that disconnection considering the Los Planes tower light was now on. Around 4pm another 4 trucks appeared and some were CFE. And at about 4pm ish the 23rd power was restored to a good portion of people who’s transformers were ok and the wiring to their homes to past the OXXO to defines store a bit later. I always turn off my circuit breakers because initial spikes could be dangerous or brownouts. 10:15 power went down for 15 minutes. We do not have phone or internet still. But there is cell phone and the cell phone tower light. They have a separate power hook up. This could be because the power line at the Telmex building is not hooked up. The main power line is down for Telmex but not Telcel and rerouted right there. This was one of the improvements they have made. But it costs us having phone up right now. They will need to move the transformer to a new pole and probably put in a new transformer too. And as I mentioned this group doing the work do not appear to be doing the “last mile” of rewiring. Just the high voltage wires. Speaking of that I finally noticed on my house that the neutral wire was broken. VS. hurricane John it went down along with so many other issues. So what I did since as I mentioned theis crew of the 23rd were not doing the last mile stuff after the transformers to homes, I too a car jumper cable and attached to both sides. I did not use regular wire because they may not spot the problem and fix it. With jumper cables they will see my effective patch and it will give them a laugh a the same time. What was working for me to cool me off was my small portable Jacuzzi that the heater died many years ago, so it is a cool off tub..
Homes may need a opening to dry out or they may get moldy… . 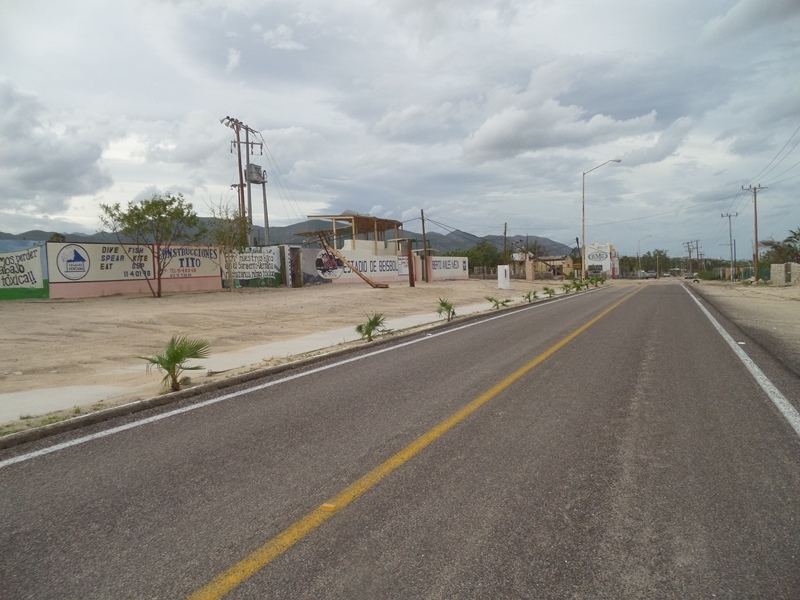 The looting that was attempted even in LV/here has stopped and the police have checkpoints for instance on the mountain , in San Pedro and sure there is one to the south Barriles, all trunks are inspected and back seats for stolen goods. I earlier noted how we were not ready for this one like we usually are. This was because it got downgraded and then it looked like it was moving farther off shore on all the predictors. So most did not worry and I for one did not look again and when it was all the sudden a cat 4 was shocked but it was still off shore. 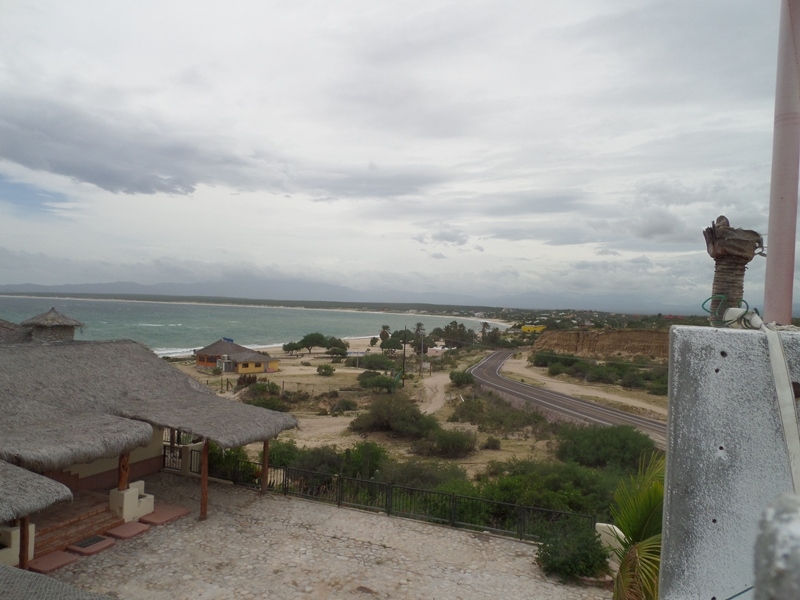 A good example I give to people was for hurricane John (was to be a cat 5 hitting Cabo) I went to LaPaz the afternoon before and I was dropped off at Sorrienas. I did not notice there was no packing spots left because I was dropped off. But it was strange I had to hunt down a shopping cart. Then because of the store layout you are in the back for food so you do not notice the check out counters. When I was done I was amazed, every counter was open with checkers and baggers, had never seen that before and the lines were still ½ hour long, but you did not see the lines when you were in the food sections. When the people came to pick me up luckily there were two, one had to just drive around the block because there were no parking spaces in all the parking lot areas around not even across the street. Now here is the contrast, for this one I went to Sorrienas the day before and only 4 or 5 counters were open and the store was empty, and for the first time in years as I came up to the counter no one was in front of me. So the entire city of LaPaz was caught off guard. Not only that Sorrienas for hurricane John had brought in pallets of food in advance, so corporate on the mainland was even getting us ready. 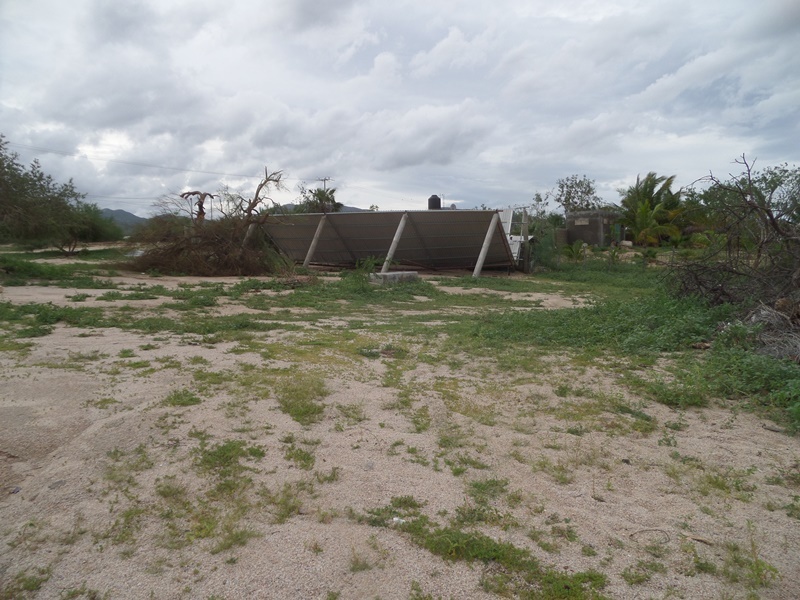 I do not believe this storm was nearly as strong as hurricane John, I base this on how hurricane john took down nearly every pole from Baja Joes to the ES village and bent every one past there. Plus John destroyed my neighbor’s windows and did not this time, and I had all kinds of things out and about like containers of wetsuit and windsurfing gear on this one and none broken. Added to very few people had broken windows, were john broke so many windows around town and strong secure metal garages were broken from John.. I did not have the quantity of sand in my outdoor kitchen, no as much sand was in my bedroom that use to be my hurricane shelter. My room I built after hurricane John is where I was for this one.. I built it specifically for hurricane protection. 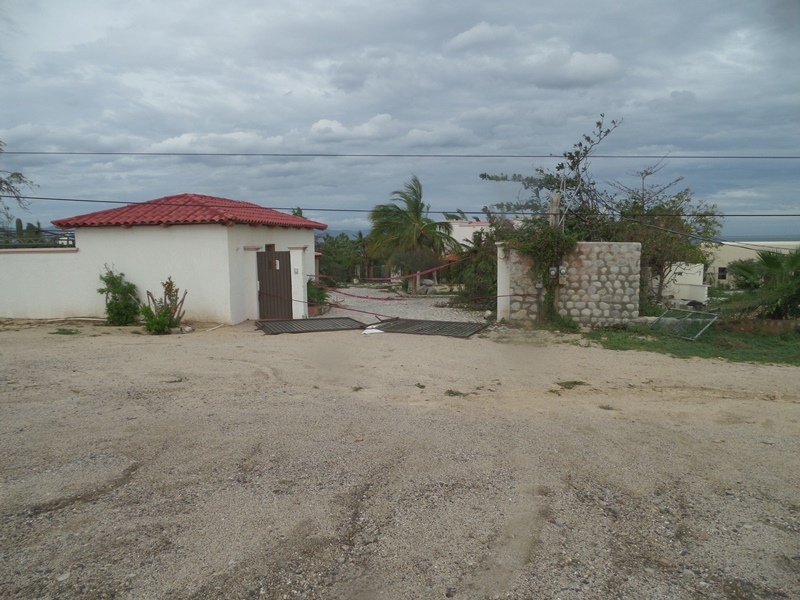 It had angled walls to the beach where the door was and the tanaca on the roof so would have shower and toilet water. So that is my take. As a note the construction crews around LV building homes and the club cerralvo have worked every day there was not a hurricane or hard rain. A few more campers arriving in the campground. Bobos are obnoxious in the morning, and we have another type of mosquito who is visiting us, a larger black one. Light rain the last two days. Maybe ½ inch total. Still no electric or phone here in LV. LaPaz is almost completely up with phone and electric. Have heard commercial flights going at LaPaz airport and a rough guess from an article I read is another 8 days for Cabo airport to be operating. No idea on Cabo or any other place for electric and water. I talked to people in LosPlanes, San Antonio and El Triemfo and they believe electric in another month, again with the thought we are not harmed severely, so low on the list. We were told that the generator promised us for desal water could not be run because they ran out of money for the fuel. Our water bottle place is now open with a small generator so people can get drinking water but as we know there are some who cannot afford it.. The water trucks seem to be appearing and filling people’s large tanks as of Saturday. We may have city water and desal today if some things work out via a donation for renting generators and fuel donation by a private party. They have not begun fixing the 9 or so poles in San Antonio still which feeds electricity to Los Planes and us. I checked in Los Planes and they only have one pole not even completely down. Just one single power wire to a home is down. OXXO even replaced their broken windows yesterday and is open without electricity as all other businesses are. 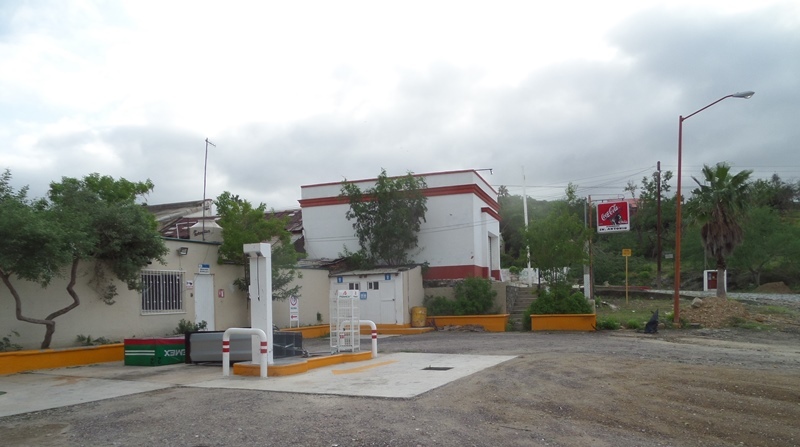 Our local gas station brought in a diesel generator a few days ago so gas and diesel are now available in town. but their generator just died today, needs a new water pump. We are hoping that Ruchy was given accurate info that they will be out to fix our power Tuesday. But priorities do change, our hopes do not.. I only need to use a generator about 6 hours a day, what I did is super insulate my fridge with R5 foam and couch pillows. The first day or two I needed about 9 hours. Also a nice item I have that I brought out are C and AAA battery powered motion detecting LED lights. These are incredibly handy when you do not have lights on and are conserving. You can walk around a corner and all the sudden you can see where you are walking at night or get up in the middle of the night because you are too hot to sleep and click the darkness is gone and you can get to your fleet of LED flashlights. I will be buying another 12 DC volt small fan made for cars and RVs.. I have a real small one that I butchered/removed from a device that I run on a car battery to give me a little air movement at night. With the storm that just missed us the nights were very humid. So when I run the generator to cool the fridge I charge the battery. And then use this to give me a cooler night. Another two incredibly useful devices I have are a 12volt RV/marine water pump. And I have a same type small size in 120 volts AC. These are very low power so you can use them with smaller generators.. And I use the 120VAC one when running the generator to fill up my roof gravity feed water tank so I have water from the sinks and toilet full time gravity feed. I put that tank on my roof after hurricane john. During hurricane john I used the 12VDC pump connected to a car battery and had 30psi pressure at all times. But this time I want the fan at night and am happy with gravity feed water pressure. LaPaz seems just fine, i was not here till now, but seems to be at 90%. just missing a few signs and who needs to see the office depot sign. Using a friends satellite, about a 30 minute drive to use it, normally 15 minutes.. We may not have internet/phone again for a week or two we just do not know. We have potentially another major storm. Update possible water from desal plant today with generators. LaPaz on the second day had about 5 gas stations open that had generators, third day about 20+. The grocery stores here and LaPaz were open the day after. The airports are closed as of yesterday because no power to control plans. Military was taking people to the mainland via their military 747s. 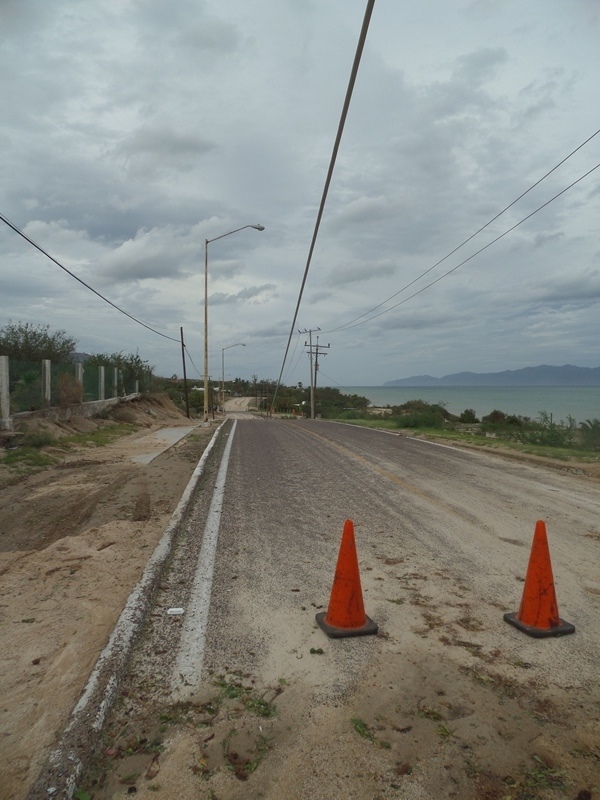 Cannot drive to Cabo either way, though the road is open todos side one lane but police stop you because they may not have water electric till after the next storm but you can leave and go north from Cabo. Google cabo airport as it is a wreck. They will not allow anyone in it because all the glass is all over. There is no phone all baja sur including cell. We had it for one day after. LaPaz should have full electricity in a week. We have been told we will have electric in 12 days. I have a hard time believing that one with the massive destruction in cabo and san jose and Ciudad and more. We are usually the last to get help. Our help needed is not major. With 1 truck here they can get 70-80% up with electric in one day. But they have to fix 9 poles in San Antonio that also gives power to Los Planes. Those poles 3 need to be replaced. 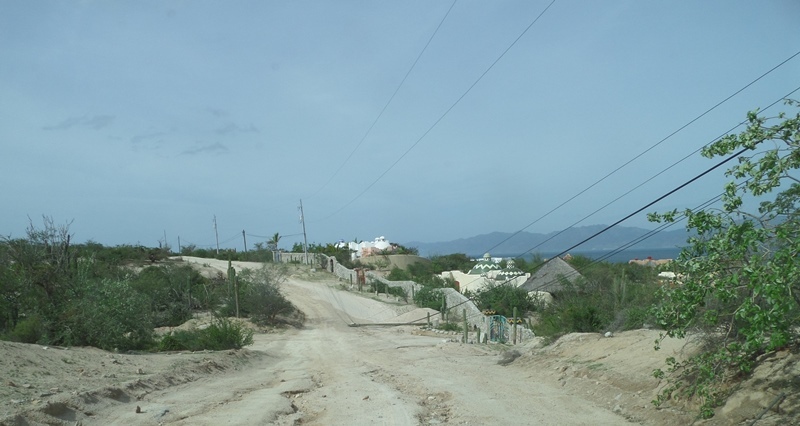 Here in LaVentana they can rewire and eliminate the broken poles for the village. monday... 9/15 5pm we experienced way more wind than projected plus it changed from it was going to be nothing to category 4 so I and others were not prepared for what it gave us. We though maybe 70mph winds and fruck it was well over 100mph at 2 am. My place is a disaster. Nothing that severe, but a mess. Cabo is a nightmare from what I heard. Hit by cat 3. so they will not be fixing our problems for a long time, maybe 4 or more weeks. I am borrowing Tom And Carols generator... thanks so much... it is amazing how much of a relief that is alone. It is such a burden when you reply on the internet for all things. My phone did not work this morning and did by noon, so needed a generator. Told afew people they could use my phone and already have people coming over to use the internet. The winds as I said were way higher than forecasted. so most of us were not prepared in the fact that you do things different in expecting 70mph vs over 100mph winds.. Plus it changed with one days notice. For instance I did not take my shade cloth down where I do if it is 100 mph. It destroyed anything with shade cloth. Many business signs are gone, many electric and phone poles are down. Most down are from el Teso plaza to the police station. the base ball field section is the worst area because they had not replaced those poles. But not nearly as many as hurricane john because CFE really has upgraded our system with the concrete poles, only the wood ones failed again, so initial only about 5-10 poles are a problem. In reality CFE could give power to about 80% of the residents by cutting the wires at the downed poles. I do not think they will want to lose the integrity of a unspoiled main wire is the issue. OXXO has a broken window. other than that I have not seen broken windows. the rain damage is minimal. Arroys did not flow. all basically wind damage. I will take some pictures shortly. 8pm no rain and about 20 mph winds on shore. 8:45 we just had 3 power downs, the new resetter they recently put in may have kept our power up without them having to drive out here..
9:22 just dropped down to 25 gusting to 40, just drizzle. Stepped out my gate to the road. and amazing how the wind on the other side of the road is so much less intense. the surf sound is amazing, can see major whitecaps. another power outage, 9:40 temperature just went up a few degrees. wind back to the 30 gusting to 45 now. muggy too. 10pm now short gusts to about 50.
then about 10PM lost power so I retreated into my custom built room I built after hurricane John. It has a full tanaco of water on the roof, i shut it off from the rest of the property so if a pipe breaks i still have shower and toilet sink at all times. It has wiring that can be used with a generator in the garage without carbon monoxide making to my room and protected from the wind. Has phone and internet hook ups as well as TV. But because I thought it was only going to be 50 mph winds did not have it set up for computer and such. 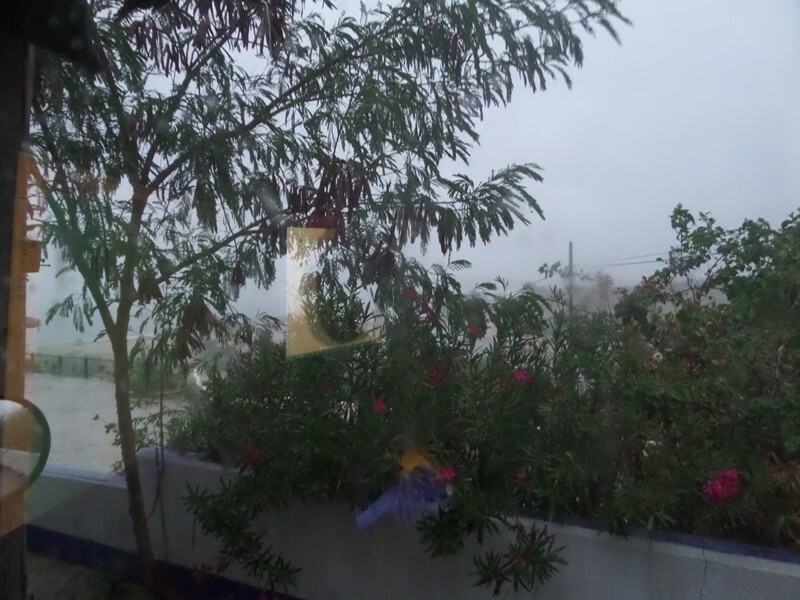 It was difficult to sleep because it was so hot with this hurricane. I could open the door which I did a bit because I designed the door to be at a angle so I could open and close it, but the rain would hit me in the bed. and plus the wind was at 70mph at midnight so did not want to risk falling asleep with the door open if it got stronger which it obviously did. So my main issue was no fan because I did not have a generator so I was not able to sleep because it was hot and humid. Where in Hurricane John I went to sleep at about 10pm in my super insulated room and only woke up as cat 1 winds were hitting because they were so loud. Right after Hurricane John downgraded to tropical storm about 30 minutes I went back to sleep and slept fine till sunrise because I was not too hot. For this one Odile it was not nearly as loud but I just could not sleep because hot and humid.. So as I note above what I will have for the next one is a good 12vdc car type fan that I can have on a battery system. And I should have a generator too. I could hear my pots and pans flying all over at night as the winds shifted in direction. I did not put them away because it was only going to be 50 mph. I was watching the internet reporting sites in cabo till I lost power and they were only hitting 50 mph winds. We know we will be getting less than they had in a few hours as the storm moves. But at 10mp without power just moved to my room designed for hurricanes. Without my communications devices. just finihed the last major window protector. 3:55 first strong band here heavy rain and 30-40mph winds. the big stuff is 12-18 hours away I think. here is a pic as you can see on the wind protected side you can not see the campground at all. putting in the storm shutters to protect some windows. 10 am only a few drops of rain so far. 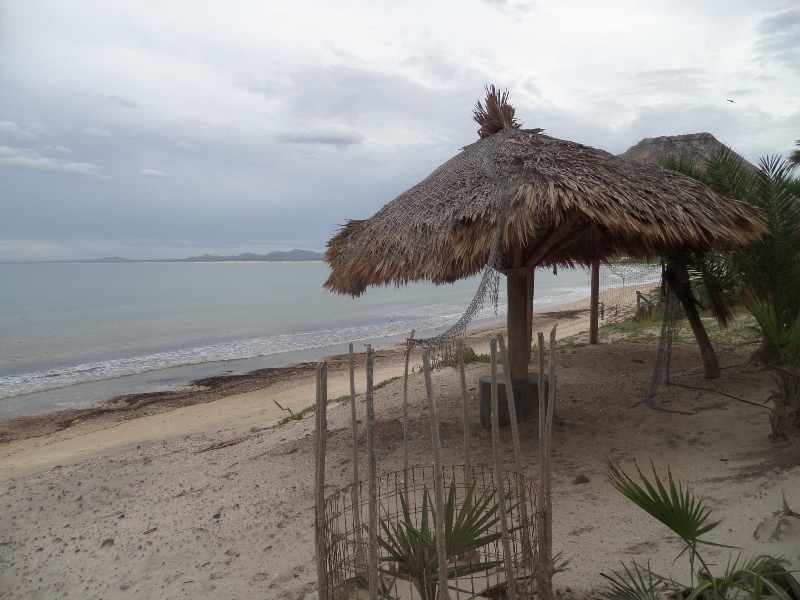 On Thursday, September 19, 2014, guests staying in our EL NIDO villa departed Cabo Pulmo at 8:45AM, bound for Los Cabos Airport driving a rental 4x4. 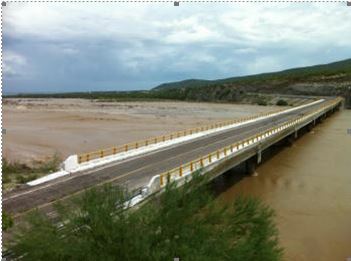 At the downed Cuadano bridge, they crossed the arroyo on an earthen bridge (complete with culverts), arriving at the airport at 11:00 AM. They were met by US Embassy personnel and escorted to a Southwest Airlines plane, past lines of people trying to depart, and boarded the flight to San Diego by 11:45 AM. I am presently in La Paz, some damages here but mostly trees, elect. is been restored everywhere, supermarkets can't keep up with the demand...lots of people from Cabo...the President of the country removed the Governor and appointed a women to be the boss during these times, the federal government personal is now in charge. Army, Navy and federal police have arrived from main land, The local police are now under federal police authority. 3 people dead. 2 were high executives from El Boleo mine who tried to cross a road flooded by a river, another one died of a heart attack. 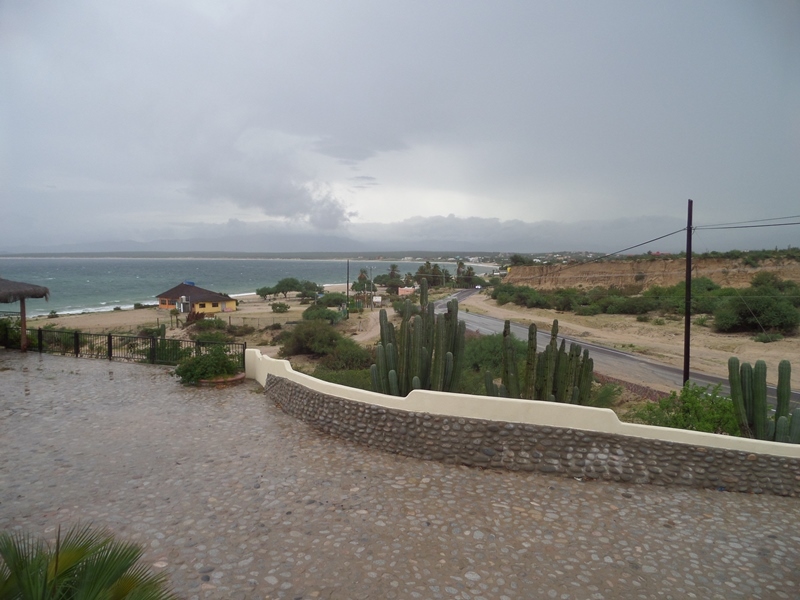 Nearly 50,000 people moved from Los Cabos to La Paz. 1,000 people waiting at the La Paz airport to leave. There are no commercial flights available but Volarís and Interjet are sending planes free of charge. 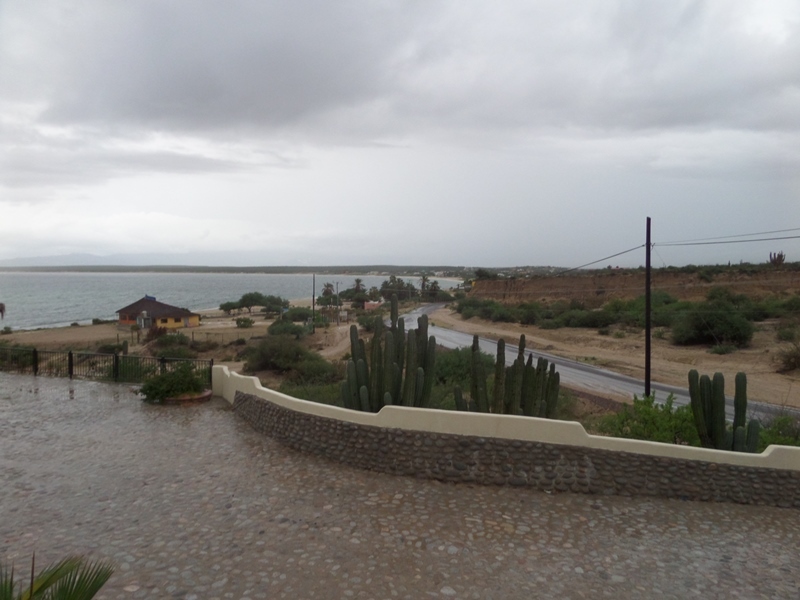 Electricity is restored at 70% north of La Paz and 40% in La Paz. 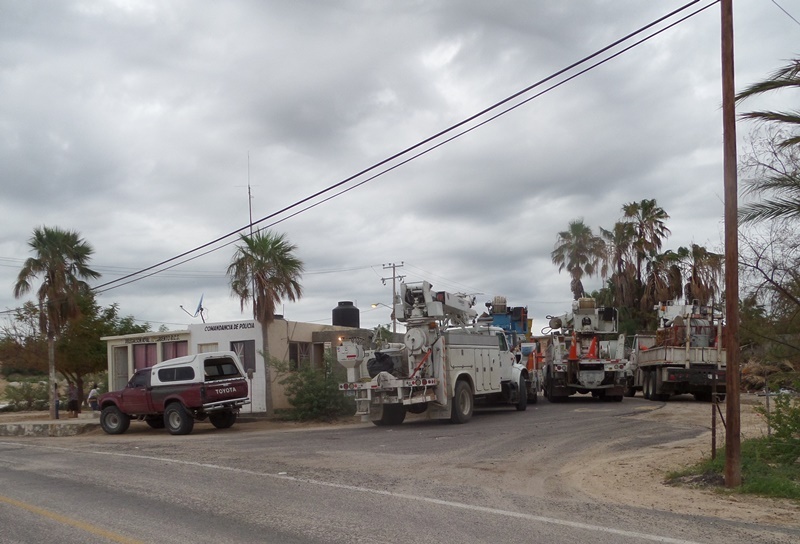 It will take around 2 to 3 weeks to restore power in Los Cabos. Almost 3,000 high tensión poles are down or damaged. Airport, hospitals and shelters have electricity with power plants. Cabo airport is fully working. 300 vehicles and around 1,000 electricity company (CFE) workers were brought here in addition to the 1,000 we already have. The heads of tourism, civil protection and fonatur are here and they all say they will stay until everything is sorted out. Over 3,000 soldiers, sailors and federal gendarmerie are here since yesterday. Neighbors have built barricades in every street for protection while convoys of armed cops and soldiers patrolling at night. 7 people where jailed last night for looting. Cabo Mil is reporting to the army. 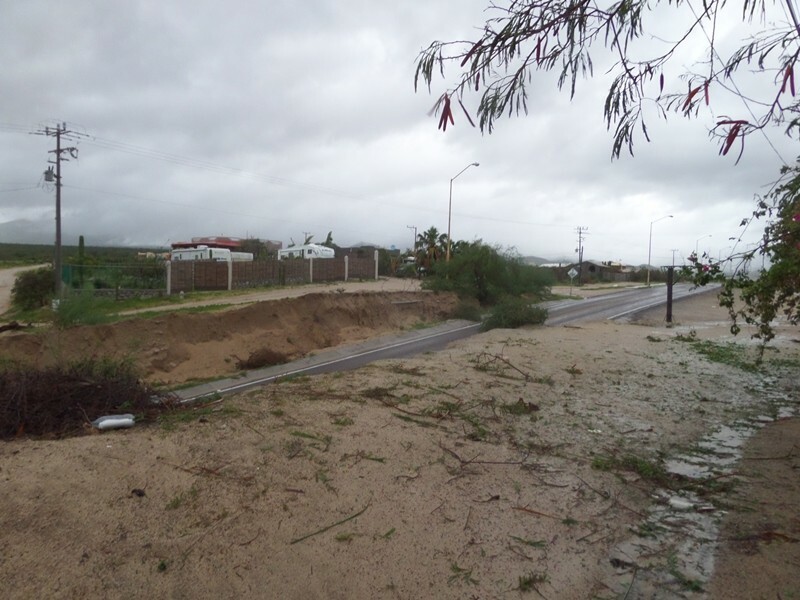 The Department of State recommends that U.S. citizens affected by Hurricane Odile in Baja California Sur should proceed to San José del Cabo airport as soon as possible, if able to so. Travel during daylight hours is recommended. The Department of State is working with U.S. and Mexican carriers to arrange flights for U.S. citizens departing from San José del Cabo (SJD) airport on Thursday, September 18. Other flights MAY be departing from the airport in La Paz (LAP). The Department of State urges U.S. citizens still in Cabo San Lucas to avail themselves of this opportunity. Passengers should be prepared to wait until they are able to depart. Many U.S. and Mexican commercial flights are departing this airport. In addition, the U.S. State Department has chartered flights. By law, these flights will be provided on a reimbursable basis, and passengers will be required to sign a promissory note. No passenger will be turned away due to lack of funds. 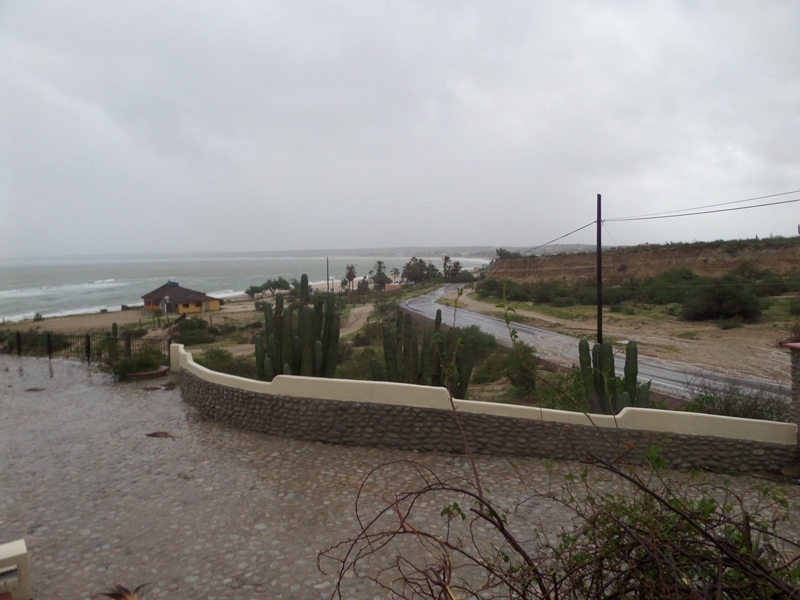 U.S. consular personnel are in affected areas in the Baja California peninsula to provide consular assistance to stranded citizens. 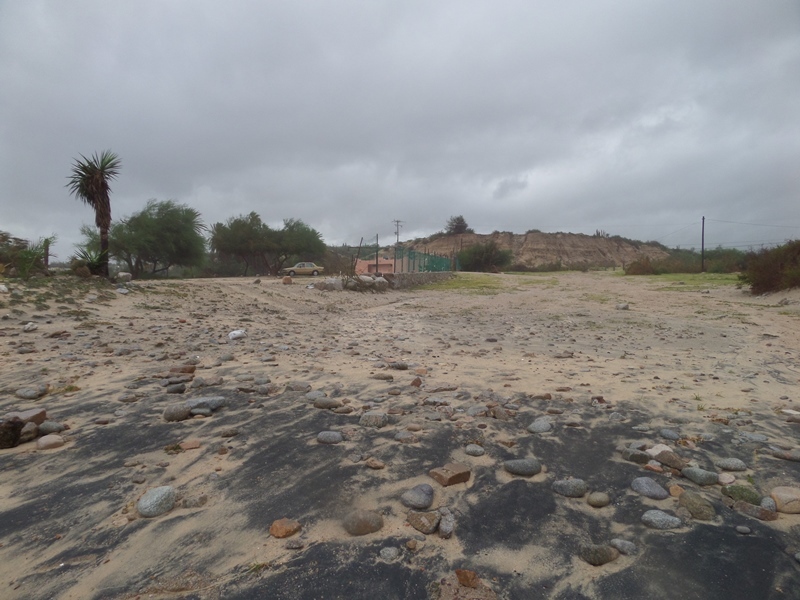 The U.S. Consulate in Tijuana advises against land travel between southern Baja and northern Baja Peninsula because of damage to the Trans-Peninsular Highway. 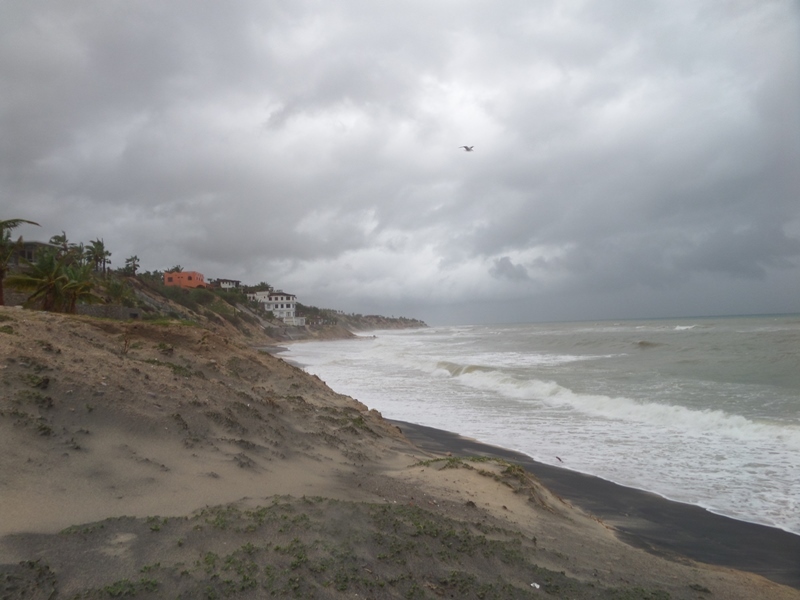 U.S. citizens are advised to monitor local media for updates or possible changes to the potentially violent weather conditions and to follow any instructions/warnings issued by the Mexican government. Preparations to protect life and property should be considered. U.S. citizens should carry their travel documents (i.e. U.S. passport book or passport card) with them at all times or secure them by placing them in a safe, waterproof location. If you must travel during this time, please take reasonable precautions such as avoiding entering swiftly moving water. Drivers should remain vigilant for landslides. 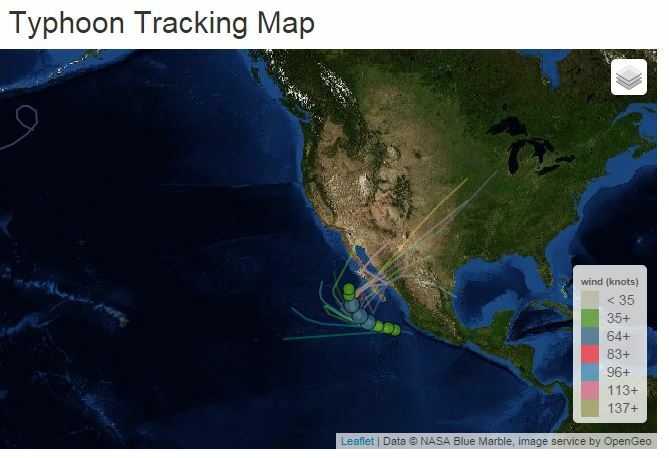 We strongly recommend that U.S. citizens traveling to or residing in Mexico enroll in the Department of State’s Smart Traveler Enrollment Program (STEP) [https://step.state.gov/step/] on the State Department’s website [http://www.travel.state.gov/ ]. STEP enrollment gives you the latest security updates, and makes it easier for the U.S. embassy or nearest U.S. consulate to contact you in an emergency. If you don’t have Internet access, enroll directly with the nearest U.S. embassy or consulate. Regularly monitor the State Department's website, where you can find current Travel Warnings, (including the Travel Warning for Mexico), Travel Alerts, and the Worldwide Caution. Read the Country Specific Information for Mexico [http://travel.state.gov/travel/cis_pa_tw/cis/cis_4965.html]. For additional information, refer to "A Safe Trip Abroad" on the State Department’s website. Contact the U.S. embassy or consulate for up-to-date information on travel restrictions. You can also call 1-888-407-4747 toll-free in the United States and Canada or 1-202-501-4444 from other countries. These numbers are available from 8:00 a.m. to 8:00 p.m. Eastern Time, Monday through Friday (except U.S. federal holidays). Follow us on Twitter [http://twitter.com/#%21/travelgov] and Facebook [https://www.facebook.com/travelgov] to have travel information at your fingertips. The U.S. Consulate in Tijuana is located at Paseo de Las Culturas y Camino al Aeropuerto, Mesa de Otay, Delegación Centenario, Tijuana, Baja California, Mexico 22425, and is open from 7:30 a.m. to 4 p.m., telephone (664) 977-2000. 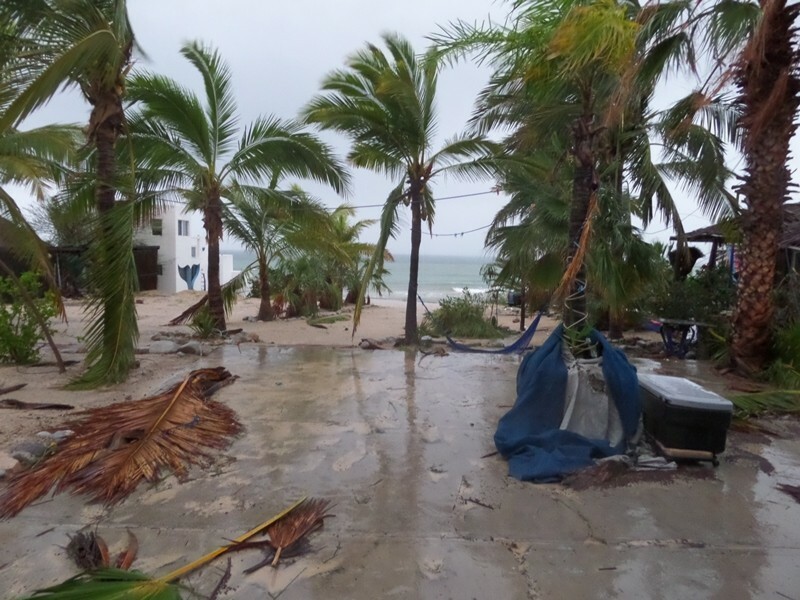 If you are a U.S. citizen in need of urgent assistance, the emergency number for the U.S. Embassy/Consulate is (619) 692-2154 (dialing from the U.S. 011-52 + phone number); E-mail: ACSTijuana@state.gov. The U.S. Consular Agency in Los Cabos is located at the Shoppes at Palmilla local 221-B, Carretera Transpeninsular Km 27.5, San José del Cabo, Baja California Sur, and is open from 9:00 a.m. to 2:00 p.m., telephone (624) 143-3556. If you are a U.S. citizen in need of urgent assistance, the emergency number for the U.S. Embassy/Consulate is (619) 692-2154 (dialing from the U.S. 011-52 + phone number). some good maps by Mike G.
storm is hitting 10am about 25mph winds. I am assuming this is outer band, all on shore wind. 10:15 we are getting light but continuous rain. stopped 11 am. will keep this thread going as the actual storm gets here. seems we just had a good amount of dry wind overnight, A lot of leaves and branches scattered that show strong winds, but the pavement dried off significantly, the puddles down considerably. And the sand is not mushy walking out to read the electric meters. Air humidity is low. yet you can see clouds covering the mountains and the island is covered missing. Tide does not seem to be any higher yet. Looked at the wave charts and now seems the peak waves would hit during our low tide so do not think we have anything to worry about. 11am winds are up aand down onshore at 15-25mph. no rain all morning. 2 kiters out. 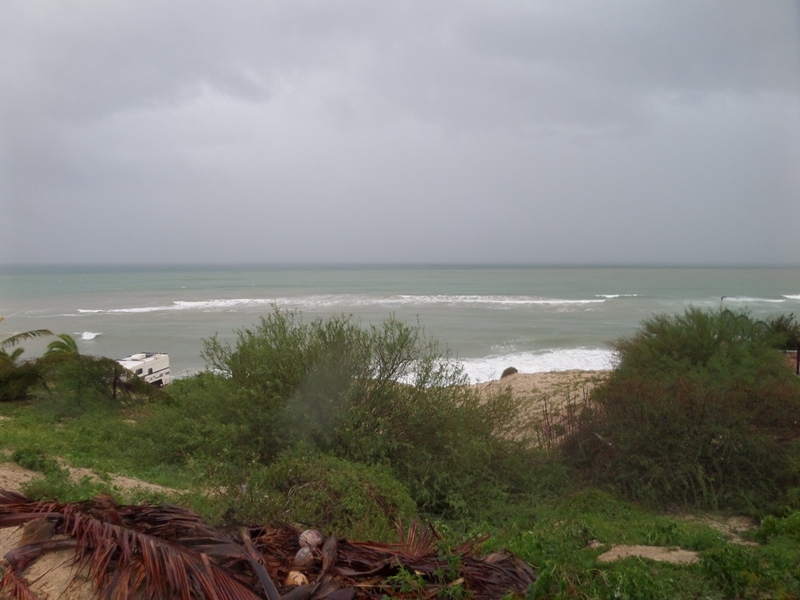 I would windsurf but onshore has onshore and do not want to drive to burning bush area to launch. when th tide comes up more I hope to try because the rocks will not be a factor. 4pm no rain all afternoon too. humidity has picked up to be uncomfortable again. wind has died down. 6pm we are close to peak high tide. Here is a picture at the beach. It is high and higher than most el Nortes. But no erosion taking place because the winds/waves are minimal..
all in all about 3 inches of rain yesterday none today. no damage that I am aware of here. 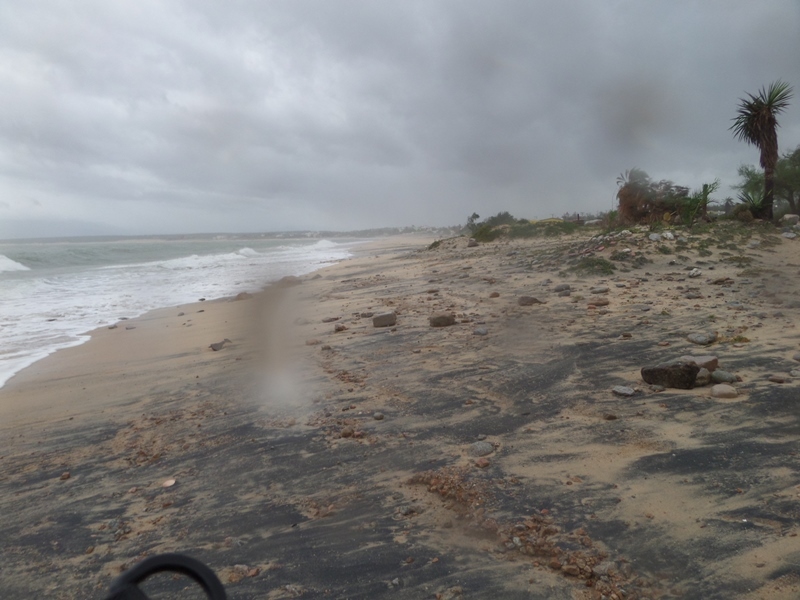 Pacific side could have significant erosion again. again last night no wind or rain, around 6 am a light drizzle. 7am it picked up to a hard rain . Still no damaging winds. the hard rain was just 20 minutes. all is very wet. 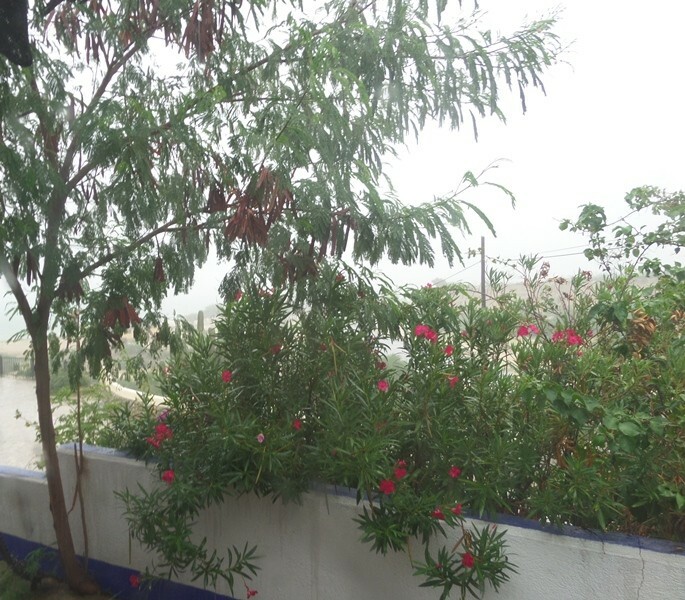 seems it is no rain to hard rain cycles. as I mentioned now it is off and on. 10:30 slow rains still about 1 inch so far. it is a soaker so not run off. So far just one minor power outage. I missed it was tying down my palapa with chains. 1:30 Off and on rains no major downpours and still no significant wind with the rain. 5pm a lul. 2 inches in my un-official bucket. 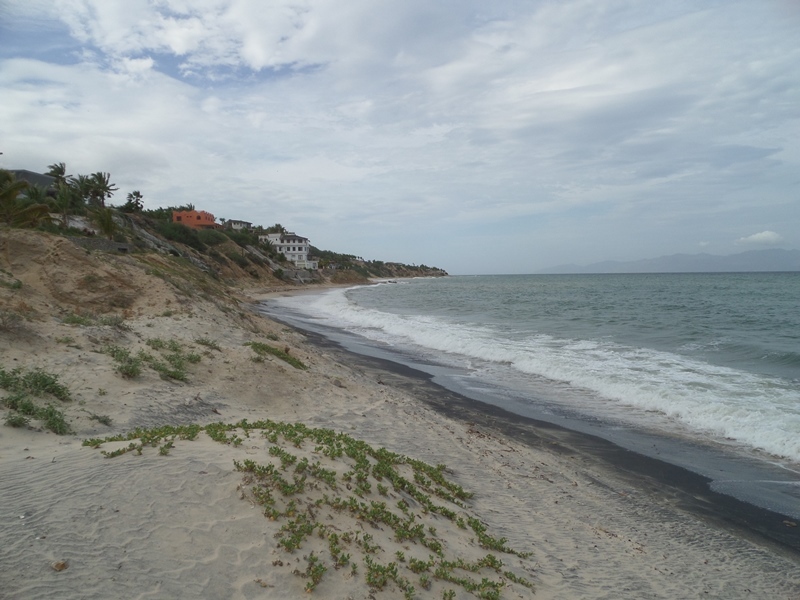 walked the beach and the tide is up and small waves coming in, it was up to areas like el Norte get to. But no wind right now. tomorrow with wind we could see some erosion issues. If it is not raining during the high tide will try to make a video. 6pm had a 20 minute high wind rain at about gusting 30 mph wind maybe shy of 1/2 inch rain with it..